Service Technicians are ready for your call. Gingerich Clean Burn service and support is available by phone for do-it-yourself service issues so that customers can call to ask questions and trouble shoot issues. This service is free of charge to all customers. Gingerich Clean Burn also has daily UPS service so that we can send and receive Clean Burn OEM parts the same day, when needed, if you place your order before noon. Gingerich Clean Burn has inventory in-stock, ready to deliver waste oil furnaces, boilers and parts. We maintain a full stock of Clean Burn models which we purchase by the truckload. Furnaces are available for installation or for immediate pick-up or delivery. We also stock a full supply of Clean Burn parts in our parts warehouse. We use OEM parts to insure good operation and to keep the warranty intact. has built a reputation for reliable, quality service. Sales, installation, and service of Clean Burn waste oil heater systems is all that we do. With over 5,400 Clean Burn units sold and expert technicians on staff, quality service from Gingerich Clean Burn is always just a phone call away. We have our own fleet of service trucks that can serve throughout Ohio, Indiana, & Western Pennsylvania and 10 service locations for more convenience and better service. 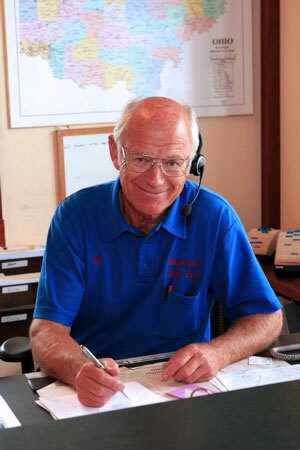 Our service team works hard to respond to a customer’s on-site needs as soon as possible. Since Clean Burn is all we do, all of our trucks are stocked with a full supply of furnace parts and components. We offer complete full service to all of our customers. Gingerich Clean Burn‘s Qualified Sales team is always ready to deliver Waste Oil Furnaces and Boilers. Gingerich Clean Burn has well-qualified sales consultants that can answer your questions about Clean Burn waste oil heating systems and to recommend the right system for your needs. We offer heat loss assessment services and perform return-on-investment calculations. Our sales consultants present the financing options we offer, and furnaces are priced based on complete turnkey installations.